Throughout parts of the United States, consumers are falling prey to a sophisticated phone scam which targets people who have filed for bankruptcy. 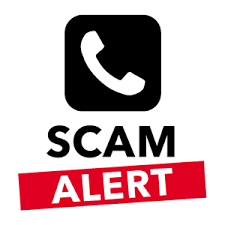 This information, according to the National Association of Consumer Bankruptcy Attorneys (NACBA), has prompted attorneys and public officials to make potential targets aware of this telephone scam. The scam has been reported in New Hampshire and Virginia and it is likely that this fraudulent activity will begin to spread to other states. Con artists use software that can deceive a caller ID system. The intended victim thinks the call is coming from the phone line of their attorney. In some instances, personal information from public filings has being used to trick the consumer. These calls take place after business hours so clients have more difficulty contacting their attorney. This scam solicits a wire transfer to satisfy a debt that is said to be outside of the bankruptcy proceeding. Consumers have been threatened with arrest if they fail to wire the money immediately. Should you receive any call that you think does not sound legitimate, hang up and contact us immediately. Also, NEVER give personal or financial account information to any un-verified source.